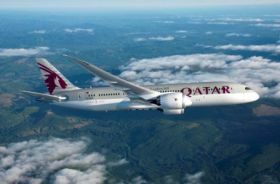 Due to increasing requests, Qatar Airways will be running 2 aircraft site visit days on 15th and 17th of August. It is a great opportunity to see first-hand the award winning 787 Dreamliner, including 2017 Skytrax awards “World’s Best Business Class Cabin”. Spaces are very limited so we encourage you to register early with Patrick McKinney to avoid disappointment. For any information on any of the topics above, or any interest you may have with Qatar Airways, please feel free to contact Patrick - pmckinney@ie.qatarairways.com.